What does it take to be an NFL Quarterback? American football is one of the most popular sports in the United States of America. American football is a team sport the pits 11 offensive players against an opponent's 11 defensive players (and vice versa). The most important offensive player is the called the quarterback. The quarterback is basically the general on the field with the purpose to call plays and distribute the ball to other playmakers in order to advance the ball down the field and ultimately score points. The National Football League (NFL for short) is the most prestigious league in American football. The members of each team in the NFL are the highest quality professional players who are paid high salaries for their abilities to help their teams win games and hopefully the NFL Championship at the Super Bowl. As mentioned above, quarterbacks are considered the most important players on the offensive of any American football team. If so one may ask: what are the qualities of an Elite NFL Quarterback? The ability to lead a team back to victory in the fourth quarter. The first quality of an elite NFL quarterback is a combination of superior arm strength and finely tuned touch. 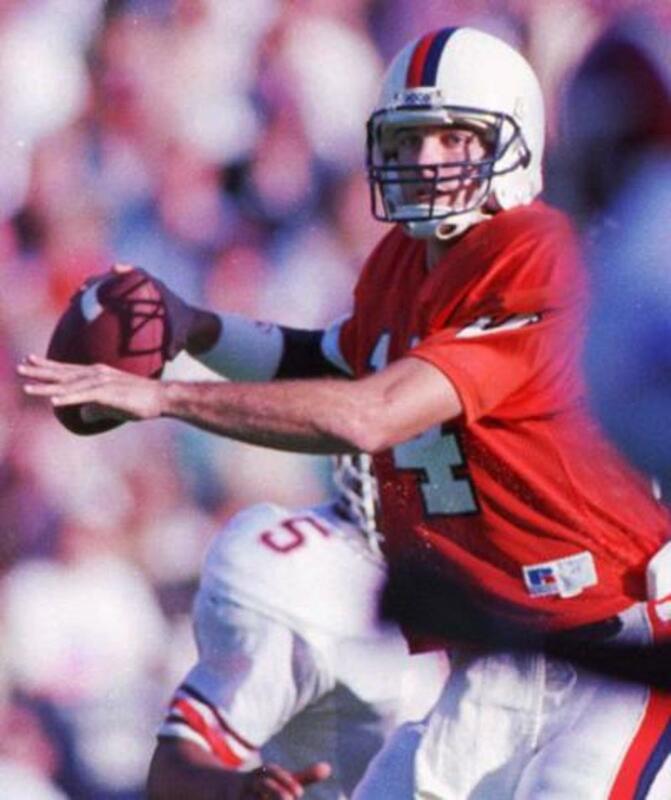 The main purpose of the quarterback is to distribute the ball to other skill players in a manner by which the other skill players can advance the ball down the field. NFL QBs distribute the ball by handing it off (to a running back) or by throwing (passing) it to another skilled player (such as a receiver, tight end, ot running back). Coaches or offensive coordinators will typically call between 25 to 50 passing plays per game. To be effective, elite QBs develop their arms in such a way as to demonstrate a balance between arm strength (to zip the ball hard or throw it long) and fine touch. The second quality of elite NFL quarterbacks is the development of a sixth-sense style connection with their receivers. The best quarterbacks in the USAs National Football League practice with their receivers over and over again in order to get a feel for their tendencies and competencies. Top QBs and receivers read the defensive scheme and body language of defenders to find the best place on the field to throw and catch the football. Elite NFL QBs show a greater ability to anticipate their receivers' moves than average QBs. Moreover, the most effective QBS throw the ball to a place on the field (high, low, back shoulder) where only their receivers will have a chance to catch it. A third quality of elite NFL quarterbacks is they develop a mastery of their team's offensive schemes. The best QBs study the playbook over and over and over to know it inside and out. This practice gives them the widest base of knowledge from which to know where each player should be on the field and make the wisest decisions about how to distribute the ball. Top NFL quarterbacks not only know their own offense inside and out, but also study film in order to gain mastery of their opponent's defensive schemes and tendencies. Mastery of their opponent's defensive schemes helps QBs read defensive coverage in order to determine which receiver is likely to be the most open for a pass. 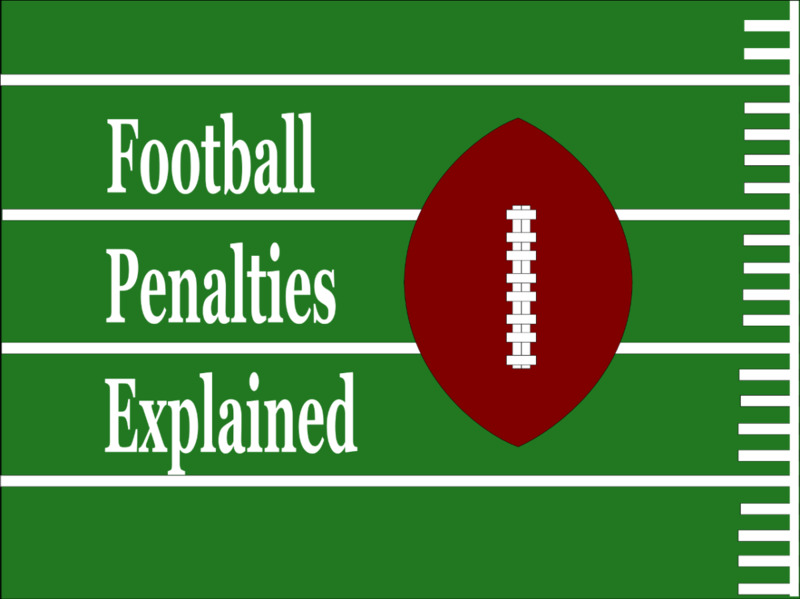 The ability to read defensive football formations will help the NFL quarterback determine if the called play will work or if he should change the play at the line of scrimmage (also referred to as calling an "audible"). A fifth quality of elite NFL quarterbacks is the ability to stay calm in the midst of pressure and make wise decisions about how to distribute the football most effectively. When a QB drops back to throw a pass, the opposing defense normally sends three or more defensive players to attempt to harass or tackle the QB before he gets the ball out of his hand. (This act by the defense is referred to as rushing the passer.) The top quarterbacks in the National Football League will remain relatively calm when the defensive players are running at them and show the ability to find the open receiver, tuck the ball under their arm and run, or throw the ball away if need be. The most skillful professional quarterbacks in the National Football league are not only calm in the midst of pressure. They also master the ability to look at all their receivers to find the best place to distribute the ball. Most sophisticated offensive schemes design pass plays that give their quarterbacks more than one receiver to throw to. NFL offensive coordinators usually give their receivers three or four options. Elite NFL quarterbacks remain more calm and focused to the point that they are able to look over all their options before making the throw. This ability allows them to distribute the ball to the receiver who has the best chance to advance the ball down the field and perhaps score a touchdown. The two minute drill is a phrase that relates to the last two minutes before half-time or the end of a football game. American football games are divided into four quarters. The first two quarters lead to half-time and the final two quarters lead to the end of the game. Half-time and the end of the game are definite stopping intervals at which the team will not be able to advance the ball any further. When the time begins to run close to the end of the half or the end of the game, NFL offensive coordinators will order their team to use a "hurry up offense" or sometimes called "two minute drill." As many NFL teams are evenly matched, the scores remain close to the very end. Teams that are behind in the score will attempt to move the ball down the field quickly in order to get a quick score. Elite NFL QBs love the excitement of leading their teams in a comeback and thus show a mastery of the two minute drill. Another quality of an elite NFL quarterback is they show appreciation for the efforts of the other players on the field. Top-level QBs demand performance, but they also understand that they cannot be successful a part from the other ten players (40-plus including defense and special teams). The most effective quarterbacks in the National Football League are especially grateful for their offensive linemen who protect him each week. The key characteristic of an elite NFL quarterback is there ability to establish themselves as leaders on the field as well as on the sideline. When the offense is on the field, the QB is the general on the field. The best professional quarterbacks have an uncanny ability to motivate their teams to higher heights. They show an unwavering belief their team can pull this one out; no matter the score or the time left on the scoreboard. More than that, their teammates believe them and give their best efforts to the end. A 10th quality of elite NFL quarterbacks is their uncanny ability to forge fourth quarter comebacks. Again, it does not matter how much time is left on the clock; the best quarterbacks in the National Football League believe and so do their teammates. This trait was demonstrated Sunday, October 21, 2012 by two quarterbacks playing the same game. Although too new to the league to be considered an elite quarterback, 2011 Heisman Trophy Robert Griffin III (or RGIII) of the Washington Redskins took over the ball with less than two minute left in an attempt to overcome a four point deficit against the New York Giants. RGIII promptly led his team down the field in just under a minute before making a perfect pass to receiver Santana Moss for the go ahead score. It was the second last minute comeback RGIII led in as many weeks. However, Giants quarterback and two-time Super Bowl champion Eli Manning was not to be out done. He took the field with less than 45 seconds left and three or four plays later hit his receiver Victor Cruz to take the lead back. Elite NFL QBs know how to rally their players when the chips are down and time is running out. Elite NFL quarterbacks treat all games as important not just the big games. They know their teams have to win the easy games too in order to win championships and prepare accordingly. However, top-level National Football League QBs are even more effective in big games. They want the ball in their hands when the game is on the line and they seldom disappoint. The drive and determination of the best NFL quarterbacks heighten in the most crucial moments. Even if they just made a seemingly costly turnover, elite quaterbacks shake off the mistake and make the most of the next opportunity. The final quality of elite NFL quarterbacks is they win Championships. Most notably, the Super Bowl but also conference championships. The top-level QBs know how to get their teams to the biggest games of all and win them. Who was the best NFL Quarterback all-time? Was reading through your criteria, and it got me thinking about the few great QBs without one or more of the prototypical skills. For example, Montana didn't put the much of a zip on the ball, Drew Brees is short, etc. Ahhh...jealousy and envy. Still he threw for nine touchdowns in the four 2011-12 playoff games and averaged over 300 yards per game. Yep, he had outstanding receivers who helped him out, but someone has to throw the ball and I do not think any of the defensive players were substituted in to take Eli's place to do it. No doubt Eli has had a couple subpar years since his last Super Bowl. But, you cannot say that fighting to get loose from an essentially game-ending sack in his second SB win is not clutch. It definitely showed an iron-will to get the job done against the odds. That is not to take away from the great play by the defense in both games. I disagree about Eli being elite or clutch. He always had a stellar defense which won them 2 Super Bowls while Eli was QB. Just because Eli is in elite doesn't mean he is! Now if only he wouldn't seem to nap for the first 3 quarters! teaches12345 and azarmyguy1981 thank you both for your comments and for sharing your stories and ideas. Eli Manning does seem to get it done when it counts. Fantastic hub! In my opinion Eli Manning is hands down the best QB in the league today! No I am not a Giants fan at all, but when we look at what he has done in the clutch (including 2 Super Bowls) no one even comes close! I watch football with my hubby at times and love the excitement of it. I can't share on the detailed info you have written here, but I still had a good thrill reading the highlights on a good quarterback (Unitus is my all time favorite!). Watched Cincinnati and Louisville last night, my hometown favorites, it was an excitement for us. Voted up and shared. GiancarloLorenzo, thank you. You may be right, but he wins games, big games, and championships. No doubt, those championships are mostly due to their defense. Still, three Super Bowls and two NFL Championship rings is not too shabby. What about Kurt Warner? do you think he was an elite quarterback? Great hub. However I don't believe Big Ben is elite. Holds the ball way too long and isn't always that accurate.